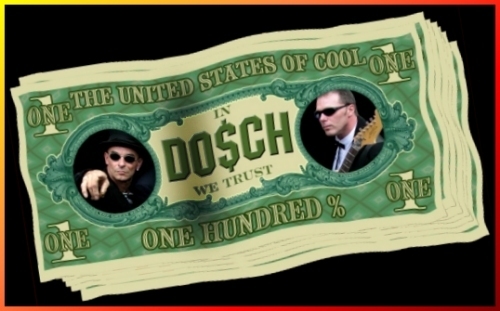 Nantwich Blues Festival - DOSCH Rhythm & Blues band..
Burnley Blues Festival - DOSCH Rhythm & Blues band..
DO $ CH – IN IT FOR THE …. There's a good opener (whether CD or gig) in ‘My My My’, a Ch uck Berry style rocker. The next song is one I can really relate to, ‘Bonneville (Rebuild Blues)’, although with me it’s been cars rather than bikes. A good ch ch chugging rhythm, and slashing slide guitar, yes I definitely liked this one. The third track ‘Moida’ is very much in the Feelgood style, particularly the ch ch chopped out guitar riffs. Nantwich Blues Festival - DOSCH Maximum Rhythm & Blues band.. The Cricketers Chesterfield - DOSCH Rhythm & Blues Band.. The Sturdy Lads - DOSCH Rhythm & Blues Band..